The second image opens to something else. You can check up yourself. No palm image there. 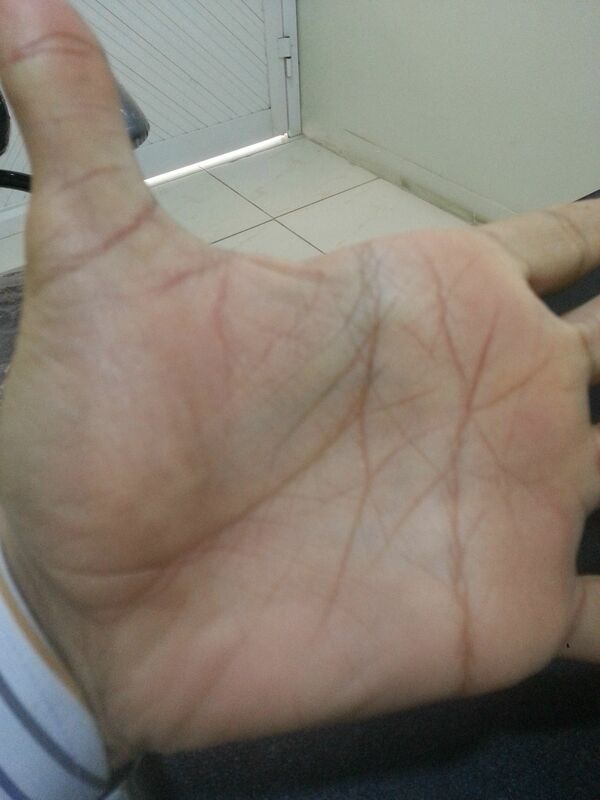 thanks for reply of my post, now i am posting another web link of my palm image. From 38/39 you will be earning lots of money. When you take the snap of your palms please keep the palm horizontal, parallel to the ground. You have held it at an angle and hence the fingers are not clearly seen and also certain other things. Both palms should be pictured similarly and then posted vertically including full fingers and thumb. yasir_shahjee wrote: thanks for reply of my post, now i am posting another web link of my palm image. THANKS I WILL SEND YOU, TELL ME WHAT IS GOOD FOR ME JOB OR BUSINESS ? I AM MARRIED SINCE LAST 10 YEARS BUT DONT HAVE CHILD WILL POSSIBLE? I do not detailed reading on forum. yasir_shahjee wrote: THANKS I WILL SEND YOU, TELL ME WHAT IS GOOD FOR ME JOB OR BUSINESS ? I AM MARRIED SINCE LAST 10 YEARS BUT DONT HAVE CHILD WILL POSSIBLE? 34th or 35th year could be the year of your marriage. YOu have through lots of difficulties before. Now you have desire to earn lots of money and be successful. This phase will starts from 35 and not 37/38. The marriage is due to a line going away from the life line and also a branch of head line rising up at. This branch as also another one at 37/38 will indicate success in earning money. Your mercury finger, which I earlier wrote it long, is not so long. yasir_shahjee wrote: Sir attached. now ok? hello job should be good for you . research work and analysis work will be fine . You will get good support in life . As pravin said detail reading on forum is not possible .